Apologies for the late posting as I am quite occupied these days. 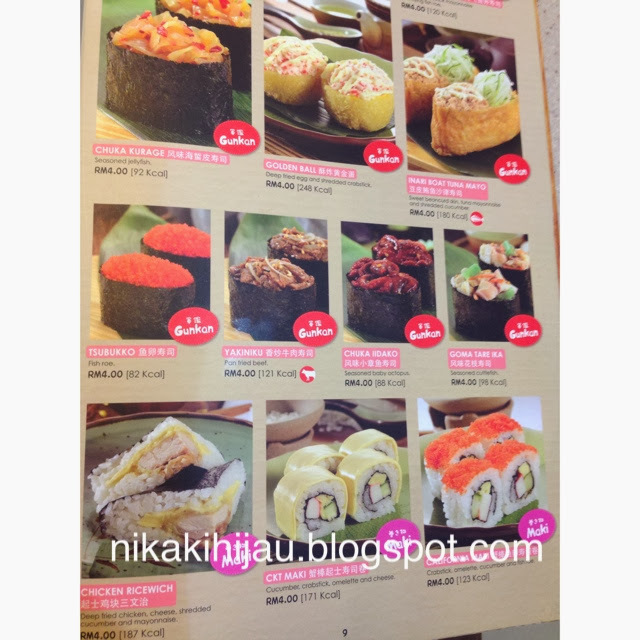 Today's dinner is Sushi King in MetroPoint Kajang. 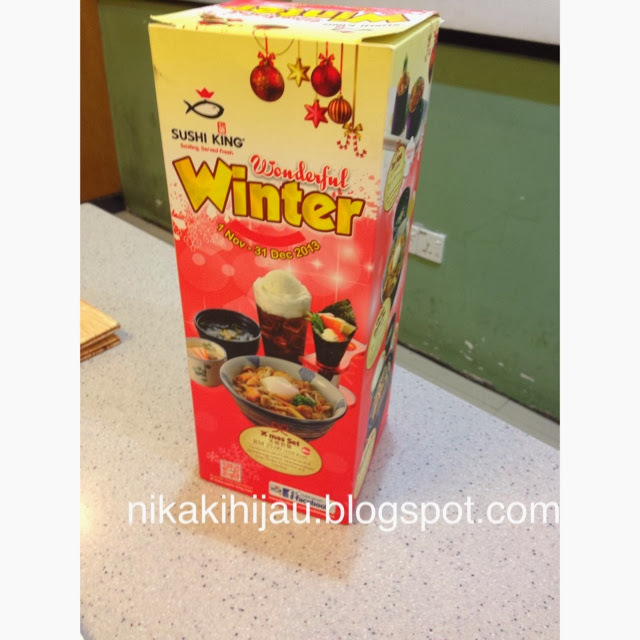 There's a winter promotion here whereby SK will introduce new menus until 31st Dec 2013. Also if you want to purchase the new membership card, you can start renewing now. RM20 voucher give away upon signing or renewing your card! SK have updated their menus incorporating calorie value contents of each food items. 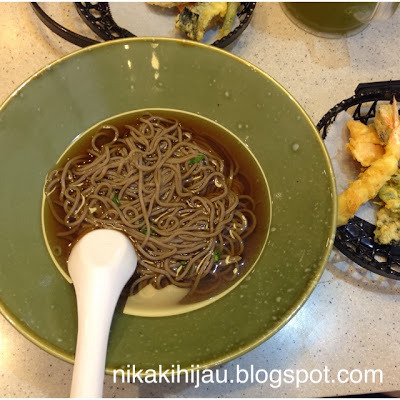 My wife and I ordered Tempura Soba which are our all time Favourites. 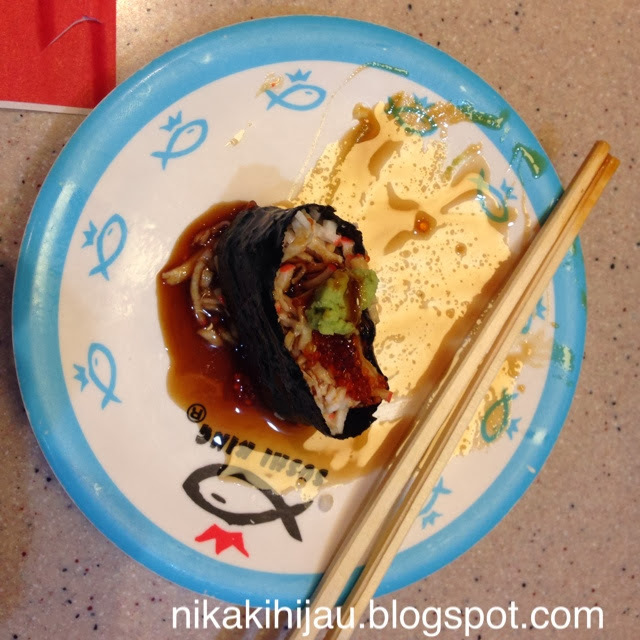 We also had sushi dip with soya sauce and wasabi. It's delicious. 1. The food ia great. 2. The staffs are friendly. 3. The service is good.